You are are probably thinking, “what is with the POO posts!? !” Bear with me here… Even though I have another month before I can stop worrying, I am surprised at how many hives are still in the running to make it through this hellish winter. 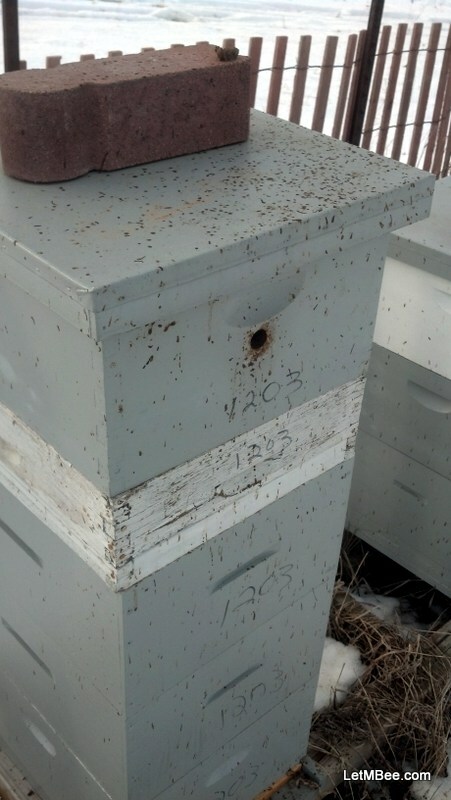 After work on Tuesday 2/18 I stopped at Hive Site 5. This location has almost NO protection from weather. 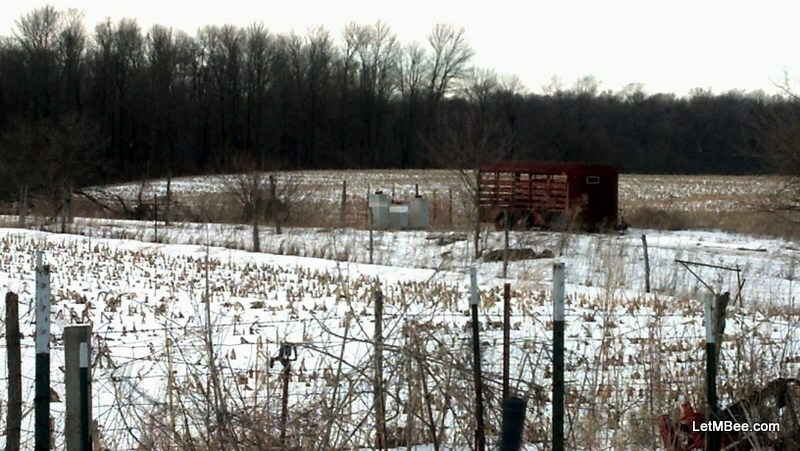 The hives are located in the middle of a pasture with only a little snow fence protecting them from the North and West winds. 1110, 1306, and 1203 are located at this site. Of the three 1203 seems to have been the hive most full of it. Of the recently visited hives it has shown the greatest degree of marking. This hive did not produce all that much honey last year as some others, but it did well and is still alive. The many markings tell me that there are a lot of bees in there. It’s leading me to believe that beekeeping is all a NUMBERS game. In order to overwinter you need to have enough bees to keep combs warm to rear the Spring Bee generation. 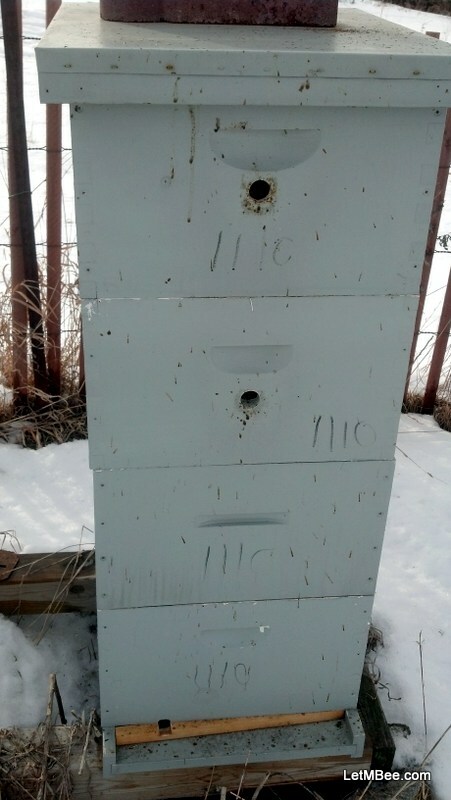 You don’t need to keep bees very long to see the difference between the hive that just barely limps through the winter and the one that comes through the winter like a freight train. By the time the limping hive gets its numbers high enough to have an effective foraging crew much of the honey flow for the year will likely be over. Freight Train hives are the ones we are looking for. The hives in the previous Poo post (Signs of Life) and this one are revealing some patterns. 1110 and 1306 were captured on the same farm. As always the first two numbers indicate the year captured. 1208 (Signs of Life) was captured within 1/8 of a mile from 1110 and 1306. 1203 was captured 2.5 miles to the west of the other three. I put traps up in 25-30 different locations and it seems the survivors always come from the same 4 or 5 source locations. Once all of the data is in I will post how many hives actually make it and compare that to the number of source locations. This is a reason to trap in several locations, keep good records, and pay attention to trends. This year’s top priority is to have as many traps as possible near the 1110, 1208, 1203 and 1306 source location. What do you think? Are you getting r it is aeady for this Spring? If you did catch some swarms are they hanging in there? 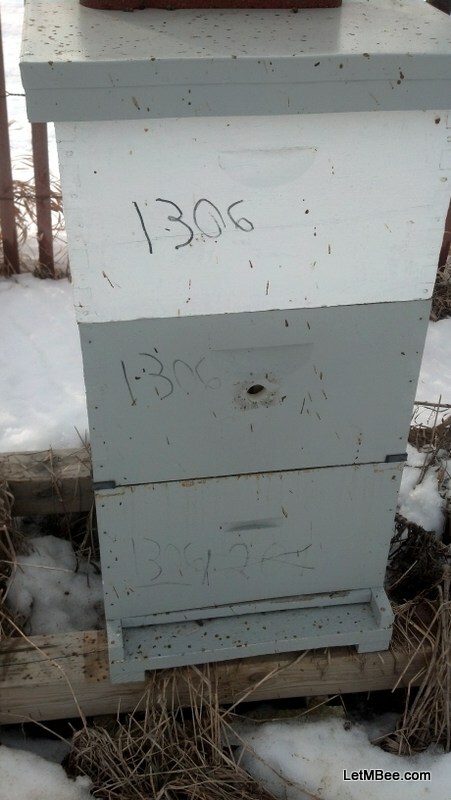 This entry was posted in Hive Reports, Posts, Swarm Trapping and tagged bee genetics, Jason Bruns, swarm trapping. Bookmark the permalink.